Molecule instead of mass Less is often more in the world of perfumes. At the heart of Escentric Molecules 04 is the molecule Javanol, which takes sandalwood into a new dimension. 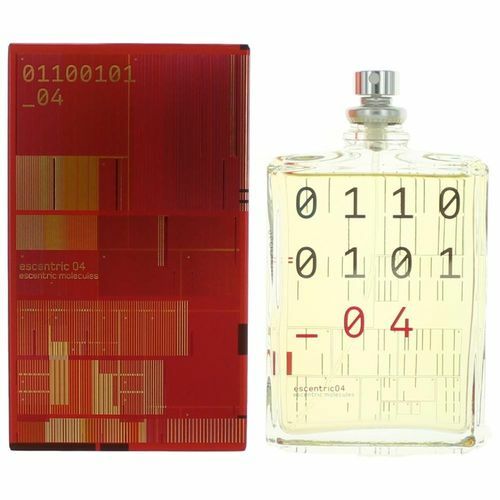 Molecule 04 contains pure Javanol, Escentric 04 surraunds it with aromas of grapefruit, juniper, osmanthus, rose, matic and galbanum. It was launched in March 2017.